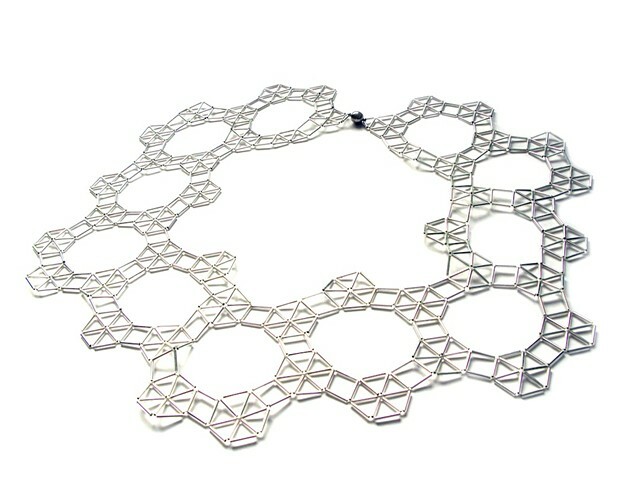 Large flat mesh chest-piece with a geometrical pattern formed by eleven interlinked circular shapes formed with triangles, squares and dodecagons. The circle symbolizes the spiritual realms in Sacred Geometry. This elegant and delicate necklace follows the body curves.